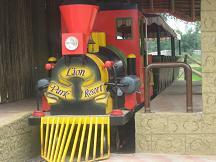 The Lion Park Resort is Gaborone's first permanent amusement park. Located about 20km from the city along the road to Lobatse, the resort is perfect for a fun day out with the family. What i really love about the place is that the rides cater for everyone. 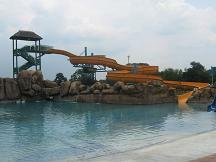 Children and adults are bound to have a ton of fun there! Last time i checked they were planning on introducing lions,cheetahs, hyenas and wild dogs for the viewing pleasure of all you animal lovers.